The legendary eatery downs shutters. Yet, Kake will be missed. This place is history now. I used to come here often. Also, as a good friend, I want to tell you to read some photo bloggers based in South India. I think they explain their photos better. 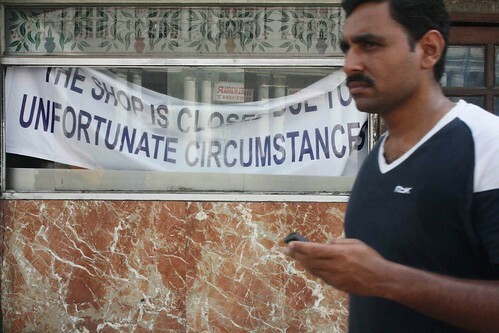 Your pictures are nice but your words have a hint of that infamous Dilli wala (not the Dilli Wala blogger) attitude. What’s the point if one clicks just for the sake of clicking and then sweat hard to write something meaningless, or worse take pain to write it? Many good readers will stick around if you are humble. Can’t believe we would have to see this day. 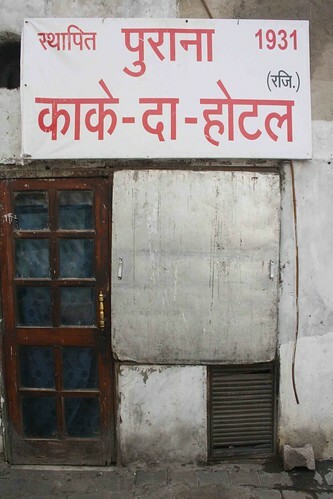 Eaten at Kake da dhaba several times and it was one of our fav place. Those naan, chicken curry with the onion salad. Nobody minded the interiors as the food and prices compensated for all of it. damn!!!!!!!!! 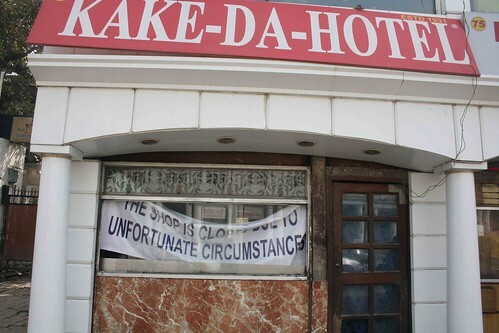 how could they close this place……i had been there so many times….especially when i was studying in bharatiya vidya bhavan….used to bunk school and go to cp…..keventer’s…..kake da hotel(once in a quarter may be….due to our limited pocket money)…..the chhole bhature wala nearby….maannnn i miss those days….